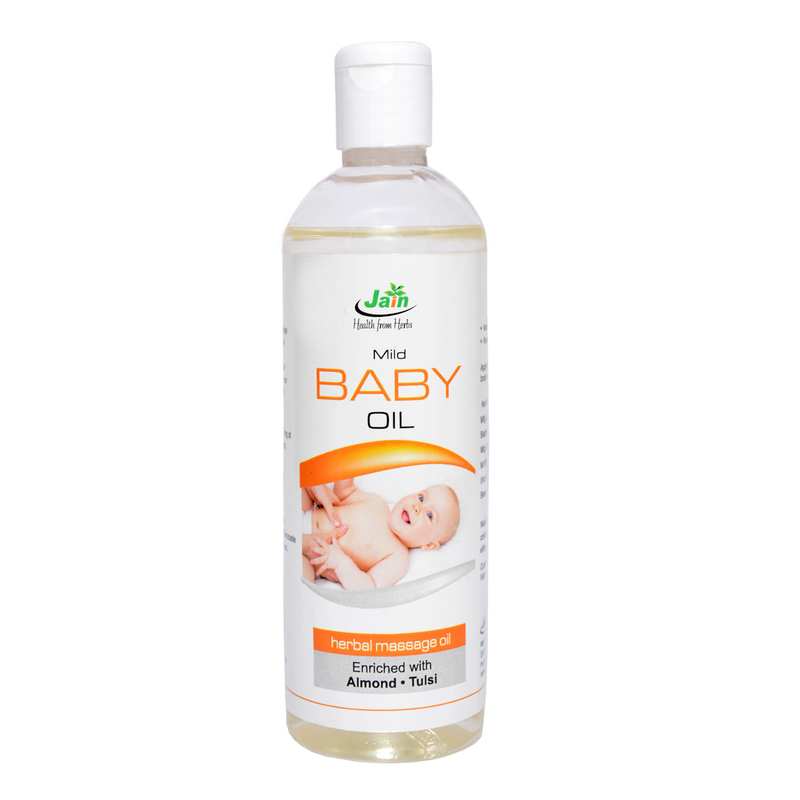 Jain Baby Oil is a traditional massage oil prepared from natural herbs. No Chemicals added. Jain Baby Oil nourishes your baby's tender skin. It keeps your baby's skin soft and smooth. Almond (Prunas Amygdala), Manjishta (Rubia Cordifolia), Tulasi (Ocimum Sanctum), Aloe Vera (Aloe Barbadensis), Sariba (Hemidesmums Inducus).